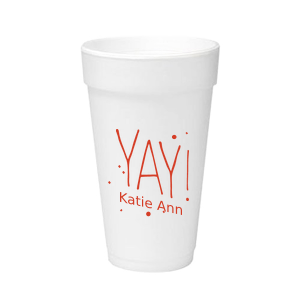 Personalized holiday foam 20 oz cups are a party necessity. 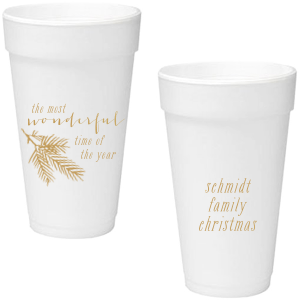 Use your custom holiday foam cups for ice cold blended smoothies, and cocktails for warm weather holidays and hot ciders, tea, and cocoa for chillier climate celebrations. 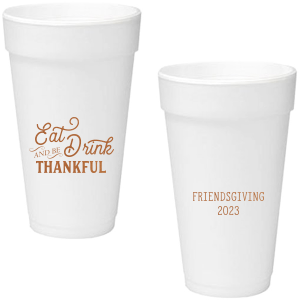 Life is full of reasons to celebration, so make your next celebration one to be remembered with customized holiday foam 20 oz cups. 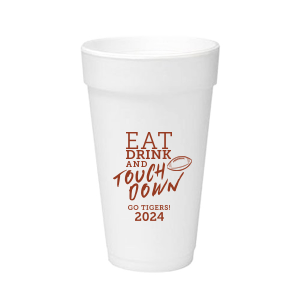 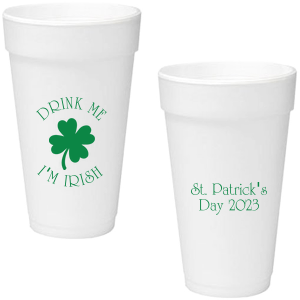 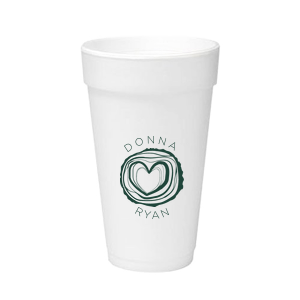 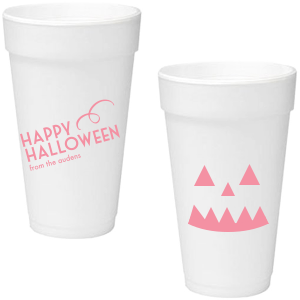 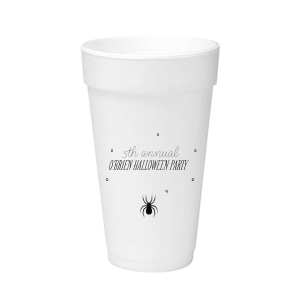 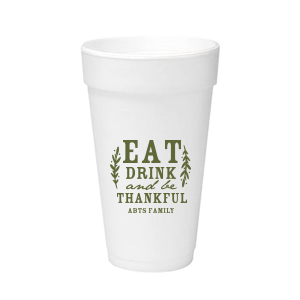 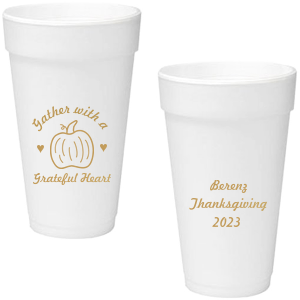 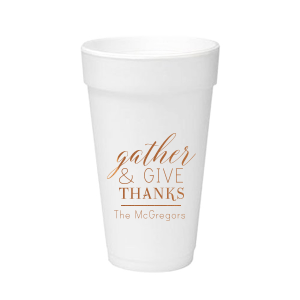 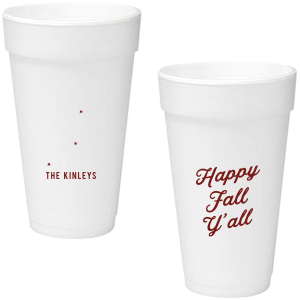 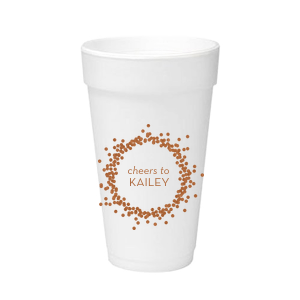 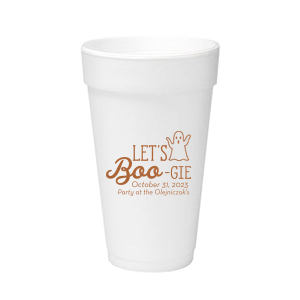 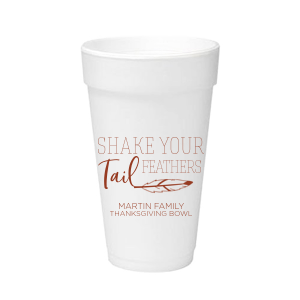 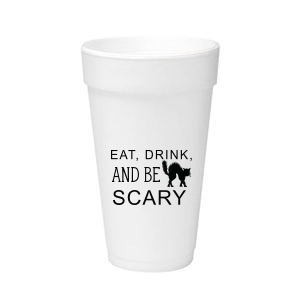 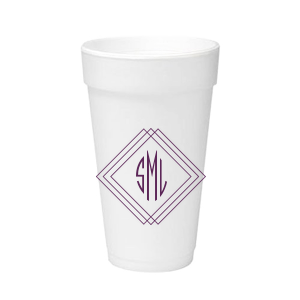 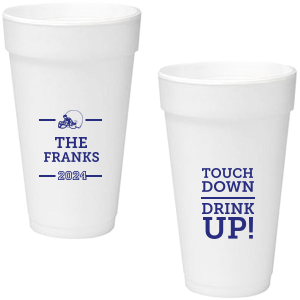 Custom designed holiday styrofoam cups are great for all your holiday celebrations. Perfect for serving both cold and hot beverages as well as milkshakes, blended cocktails and cold smoothies, your personalized holiday 20 oz foam cups will serve your guests well as they enjoy your holiday party. 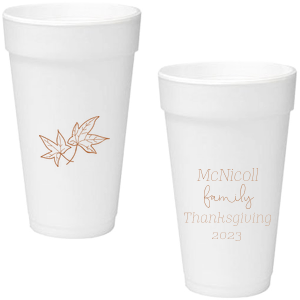 Plus, with the FYP customizer, it is so simple to add a personalized foil printed eye-catching design that is truly one-of-a-kind. 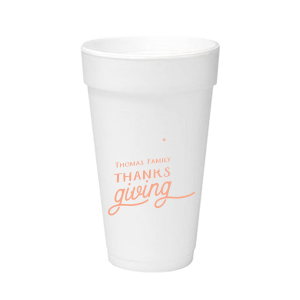 To really kick it off, check out our collection of striped straws and choose the color to accompany your personalized holiday styrofoam 20 oz cups. 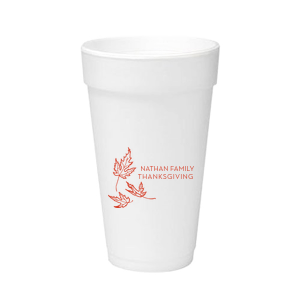 Start designing your personalized holiday 20 oz foam cups now.